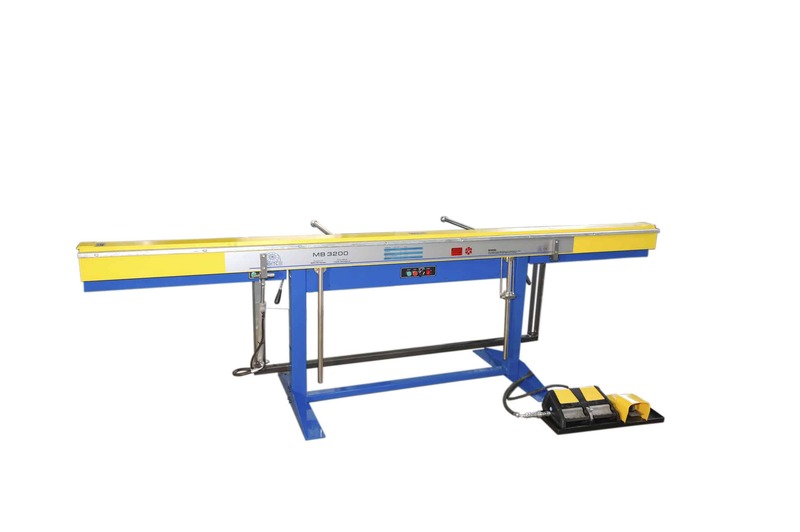 The magnetic bending machines from RHTC make use of electromagnetic clamping, which means that folding loads are taken right at the point where they are generated: forces do not have to be transferred to support structures at the end of the machine. The unique centerless compound hinges which have been developed especially for these magnetic bending machines, are distributed along the length of the bending beam and thus, like the clamp bar, take folding loads close to where they are generated. The safety operator is enhanced by a two-handed electrical interlock that ensures a safe pre-clamping force that will apply before full clamping occurs. 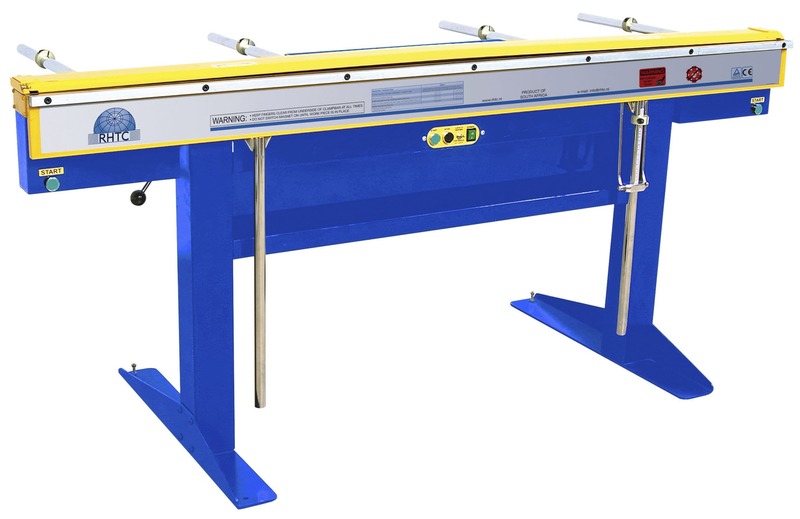 These magnetic bending machines are equipped with back stops for locating the work piece, a full length clamp bar, a foot pedal for remote control and an additional set of clamp bars. This additional set of clamp bars contains slotted, narrow and finger clamp bars. These finger clamp bars can be connected to each other (total length of 605 mm) and the maximum length of the slotted and narrow clamp bar is 1.320 mm for all models. 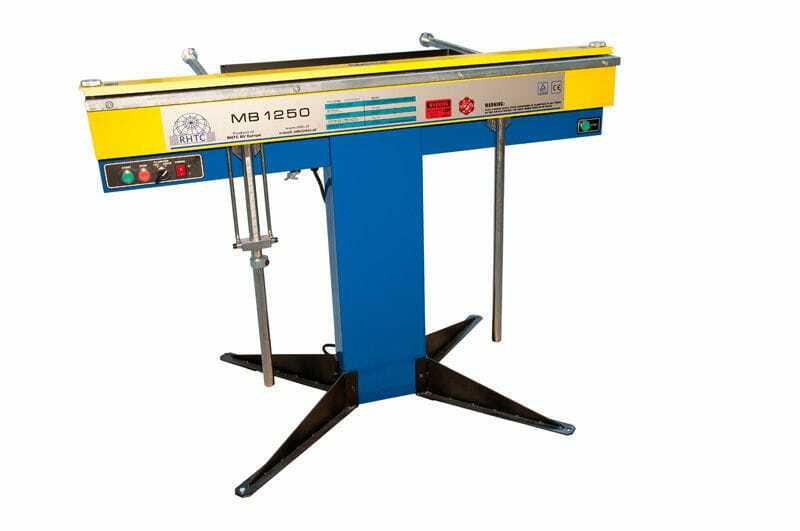 These bending machines have a warranty of 1 year, are made in Europe and these magnetic bending machines fulfil the latest CE-regulations.